The 9th annual Mattoni Olomouc Half Marathon takes place in the ancient capital of Moravia. More than 6,000 runners wend their way past Baroque architecture. An experience matched only by the warmth of the welcome runners receive here. Come to Olomouc and Enjoy the sensational atmosphere of running through a charming Baroque city in the heart of Moravia which is one of the most popular races in the Czech Republic. The race is held in the end of June when everybody enjoys the summer feeling. Running in the Czech Republic has become a mass phenomenon. For some it is a way to improve once health and stay in shape for others running is a form of traveling and embracing active life-style together with family and friends. But Olomouc Half Marathon is not only about chasing the time and running records. Whether you are an experienced runner or just a beginner, you shouldn’t miss out on this fascinating race. The variety of distances and disciplines allows everyone to be a part of the race at its fullest. 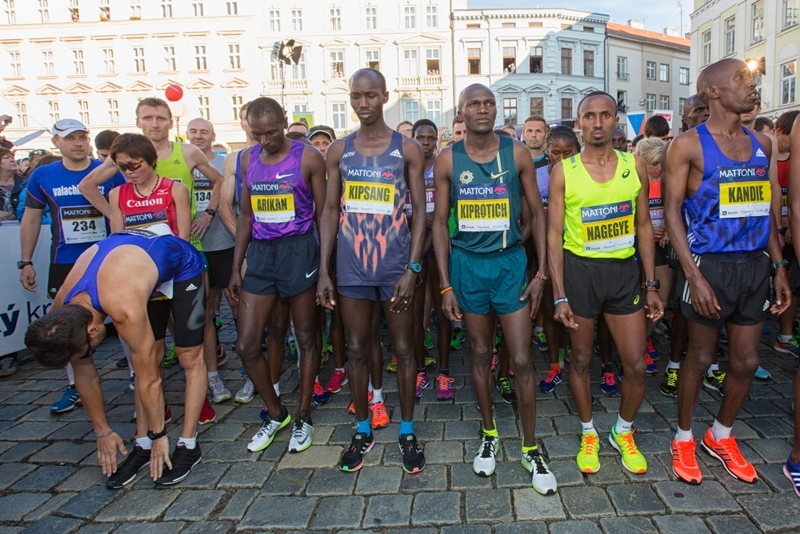 The race has been awarded the Silver IAAF Road Race Label, thus placing Olomouc alongside such cities as Toronto, Osaka, Madrid, Venice and Hong Kong on the IAAF (International Association of Athletics Federations) race calendar.